Performers include: Matt LeBlanc, Liza Snyder, Kevin Nealon, Diana Maria Riva, Jessica Chaffin, Matt Cook, Grace Kaufman, Matthew McCann, and Hala Finley. This comedy series revolves around a dad who stays home to take care of the kids and discovers it’s harder than he imagined. A contractor, Adam Burns (Matt LeBlanc) starts spending more time with his kids when his wife goes back to work and discovers a truth that parents eventually realize — their little angels are maniacs. Adam feels fully equipped to take on more parenting responsibilities while his self-assured wife, Andi (Liza Snyder), returns to the workforce after being a stay-at-home mom for 13 years. Unfortunately, Adam is blindsided by how tough it is to wrangle three messy kids who can’t live without their electronics and Wi-Fi. Their preteen daughter, Kate (Grace Kaufman), is a master manipulator and is initially thrilled that “Daddy Fun Times” is taking over. Middle child Teddy (Matthew McCann) can’t seem to keep his hands out of his pants — despite constant reminders. Meanwhile, the family’s youngest child is Emme (Hala Finley). She’s nervous about starting kindergarten under the stern supervision of Mrs. Rodriguez (Diana Maria Riva). In the midst of it all, Adam’s older brother and business partner, Don (Kevin Nealon), enjoys giving him terrible advice about how to run his family. But, with Andi’s encouragement and advice from a couple of equally stressed parents — Marie (Jessica Chaffin) and Lowell (Matt Cook) — Adam takes charge of his brood, lays down the law, and comes to believe he’s going to “nail” this job. What do you think? Do you like the Man with a Plan TV show on CBS? Do you think it should be cancelled or renewed for another season? This is hands down one of the best TV comedies in existence, that I’ve ever watched. If asked who my favorite character is, I’d not have an answer because each and every actor/actress has been chosen brilliantly. What talent in this show! Hope to God this show is never cancelled! Love this show! Don’t cancel it. It’s too funny! It’s real live with men looking after their children more. Which becomes really funny at times. Matt and his wife play off each other really well. The kids are really comical. Keep this show going, we really look forward to lots of laughs every week. Love it! This is one of the best shows on TV. Never cancel! One of the best comedy shows of the past year or so. LeBlanc character is that of an older type Joey, which has it’s own appeal. I hope that he doesn’t ditch early though, like he did with Top Gear. Steve Bogen my wife and I LOVE this show!!!!! Bring it back! Great show. I love Man With A Plan! Matt is hilarious! And I love all the cast members. It is a good family show that I don’t mind watching with my kids. I am bummed that they haven’t started the season premiere up yet. Man With A Plan is the best comedy on TV. We are wondering why it hasnt began its new season? Please bring it back! 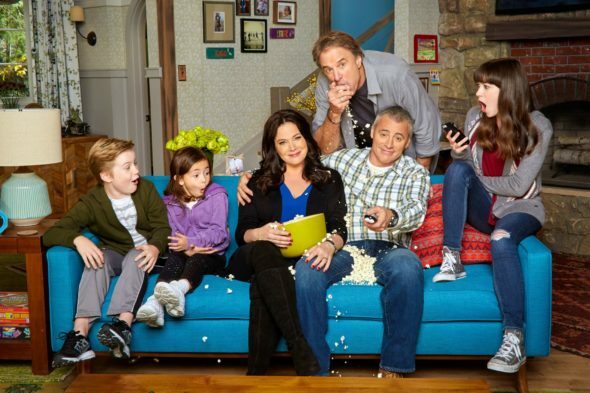 I love man with a plan please continue we need family shows like this on TV now more than ever!!! I keep checking to see when it will come back! It’s a good show! Please keep this show! Love it!